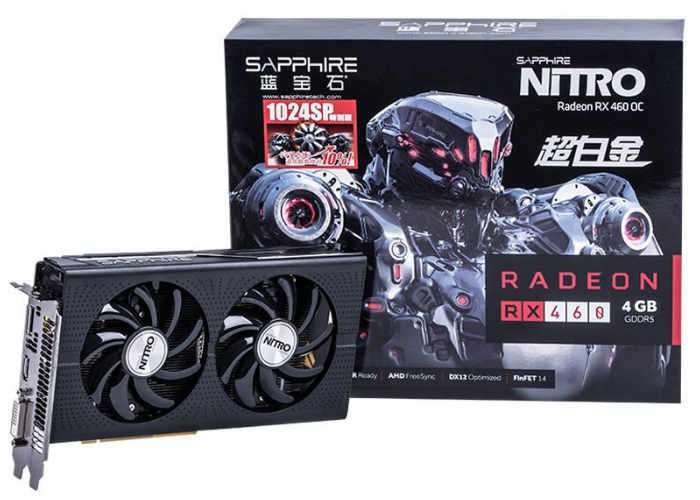 Sapphire has unveiled a new fully unlocked Polaris 11 GPU widget will hopefully be launching very soon as the Sapphire Radeon RX 460 Nitro OC. The first officially launch retail version of the full, unlocked Polaris 11 chip. The new overclocked graphics card comes equipped with all its stream processors unlocked, for a grand total of 1024 SPs offering plenty more processing power when compared to the standard 896. The overclocking provides the graphics card with a theoretical throughput at 2.56 TFLOPs (versus the base 2.2 TFLOPs on the 896 SP version), while keeping the card’s 75 W TDP, explains the Tech Power Up website. Providing 7 percent more performance when compared to the original. Unfortunately no information on pricing or worldwide availability has been released as yet by Sapphire, but as soon as information comes to light we will keep you updated as always.